One thing many successful people have in common is that they read. A lot. 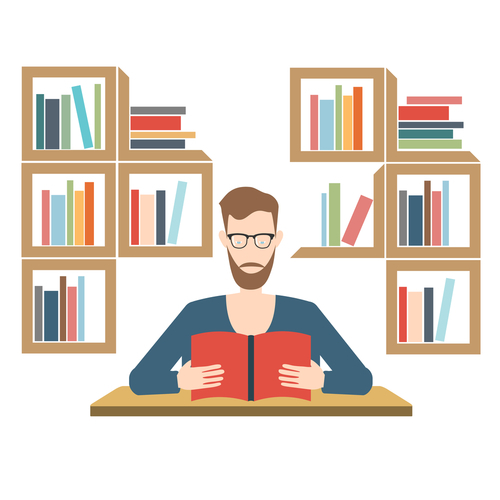 Some prefer nonfiction self-help books, biographies and autobiographies, while others swear by the lessons gleaned from novels, but successful people tout reading as a rung on the ladder of success. Increase your productivity with a reading list from the bookshelves of famously productive people. Nonfiction works commonly recommended by successful people include Dale Carnegie’s “How to Win Friends and Influence People” and “The 7 Habits of Highly Effective People” by Stephen Covey. Carnegie wrote about relationship building before it was known as networking, and Covey’s classic is a comprehensive look at personal and professional success. “The Art of War” by Sun Tzu is a favorite of CEOs, who apply its military strategy to business planning and tactics. More recent self-improvement works highlighting productivity include Malcolm Gladwell’s three bestsellers: “The Tipping Point: How Little Things Can Make a Big Difference,” “Blink” and Outliers. Add these to your nightstand, and you’ll cover the power of trends, decision making and the factors underlying success. Finally, there’s “The Innovator’s Dilemma” by Clayton M. Christensen, a favorite of the late Steve Jobs, Twitter’s Evan Williams and the aforementioned Malcolm Gladwell for its insights on business philosophy. Fans of “The Catcher in the Rye” by J.D. Salinger include Bill Gates and George W. Bush. The novel is recognized for themes of identity and coming of age. Oprah and Bill Clinton agree that the lessons on overcoming obstacles in “I Know Why the Caged Bird Sings” by Maya Angelou make it a top read. Last but not least, “Charlie and the Chocolate Factory” by Roald Dahl and the Harry Potter series by J.K. Rowling shine for their creativity and moral that anything is possible, even for those with humble beginnings. Rising from humble beginnings is a common theme in biographies. “Steve Jobs” by Walter Isaacson is on bookshelves of CEOs everywhere for its unprecedented look at drive and genius. “Losing My Virginity” by Richard Branson is an adventurous and readable tale with the message that sometimes being different is a very good thing. For a look at a historical mover and shaker, former Oracle CEO Larry Ellison cites “Napoleon: a Life” by Vincent Cronin as inspirational. Whether you prefer nonfiction for succinct, practical advice or you’re inspired by fictional characters, working your way through a well-planned reading list is a good way to boost productivity. Gather more ideas on productivity. Follow @ Transcribecom on Twitter.